No matter what position you have at work, illicit drug use can affect job performance and put at risk the lives of other people, if you are a safety-sensitive employee. For positions that demand operating heavy machinery or the well-being and safety of others, employers should especially be attentive to drug use among their employees. The National Council on Alcoholism and Drug Dependence estimates that drug abuse costs companies approximately $81 billion each year. Drug use can also affect workplace concentration and judgment and, if illegal drugs are involved, could put the employer at risk. 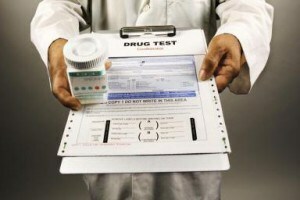 Have your employees drug tested prior to employment to reduce risk in your company. When should a Pre-Employment test be done? 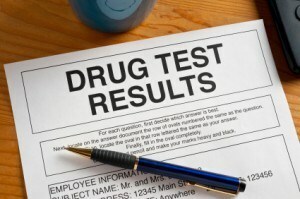 Random Drug and Alcohol tests are crucial to deterring drug use among your employees. With the thought that the employee may be selected at any time for a test, the likelihood of them using illicit drugs is reduced dramatically. -Employee must remain readily available for testing. -Alcohol & Drug testing must begin as soon as practicable following the accident. -Alcohol test should be completed before starting the drug test. Unless the transit employee’s performance can be completely discounted as a contributing factor to the accident. Employer must conduct a drug and/or alcohol test when a qualified supervisor/company official has reasonable suspicion to believe that a covered employee has engaged in prohibited drug use and/or alcohol misuse. How is it determined if a reasonable suspicion test should be used? a) Be made by a single authorized and trained supervisor/company official. If alcohol testing is delayed more than 2 hours since the initial observations, document the reason for the delay. If a delay of 8 hours or more occurs, cease attempts to conduct the test. Discuss face-to-face and in private. Describe observations that prompted concern. Stick to objective facts; avoid feelings, hunches, or beliefs. Focus on performance, not personal. Independent Driver Consortium Drug Testing is a division of Norton Medical Industries. Norton Medical is an established nationwide drug testing company, testing numerous clients in many industries for over 25 years.